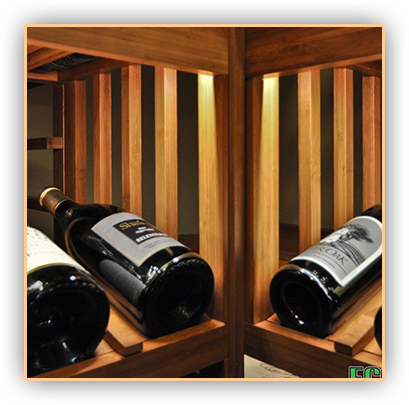 If you’re looking to create your very own custom wine cellar, keep in mind both functionality and aesthetic appeal. 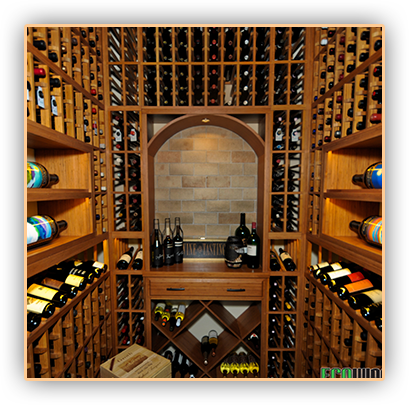 For example, this wine cellar was built in Santa Barbara California. It was made with black-finished, earthquake proof metal wine-racks. The racks were Vintage View Metal Wine racks, and the builders included special straps to secure the bottles to the racks. Thanks to this addition, the wine bottles would be held firmly in place in the event of an earthquake. The client also requested a label forward display aspect, for the purpose of more easily distinguishing between the many wines within his large collection. 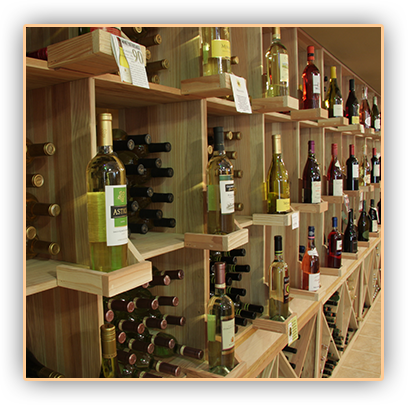 The racks were able to hold a variety of bottle shapes as well, allowing the client to store all of his wines in the one cellar. The building of the wine cellar began in March and was completed in May, just a couple of months after. 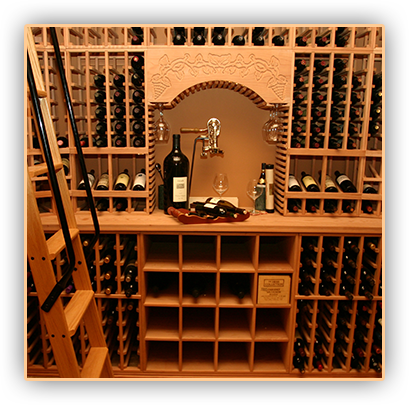 International Wine Accessories’ had Jimmy Simmons, one of their most experienced wine cellar designers, take on the project. Jimmy Simmons took a few key aspects into account. First off, the cellar required a proper refrigeration system, to maintain the ideal temperature and humidity. It also needed to hold as many wine bottles as possible, as well as protect those wines during earthquakes. A CellarPro 3200VSi cooling unit with a rear duct kit and an aluminum filter was chosen, and wine racks 3 bottles deep were constructed (holding a total of 936 bottles), and were made earthquake proof through the method entailed above. The cooling unit was ducted through the new wall by the door, making it unnecessary to engineer the existing concrete walls. The bare concrete was framed out, insulated and clad with marine grade plywood. The CellarPro Wine Cellar Cooling unit used was unique, because a filtration system was included. In fact, CellarPro is the only manufacturer that offers a filter like this. Although earthquake resistance isn’t necessary in Chicago, the fact remains that IWA can create the optimal wine cellar taking any environment and aesthetic appeal into account. This entry was posted in Custom Wine Cellars Chicago, Wine Cellar Builders, Wine Cellar Design and tagged cooling unit, custom wine cellar, wine cellar, wine rack by CustomWineCellarsChicago. Bookmark the permalink.